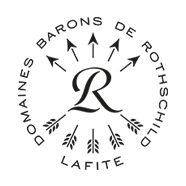 In 2009, Domaines Barons de Rothschild (Lafite) brought a long-standing project to fruition: the creation of a vineyard in China on the Penglai peninsula in the Shandong province. This project has been developed in partnership with the Chinese national group CITIC. 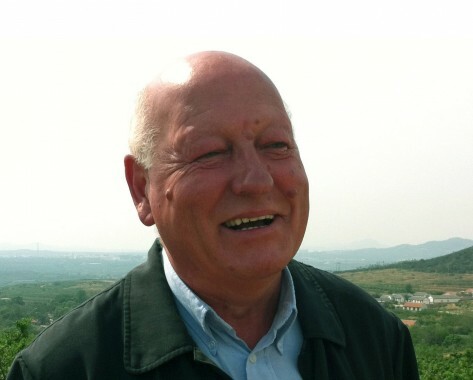 Gérard Colin’s impressive career and passion for wine made him the perfect choice for this ambitious adventure. After studying science and obtaining a Master’s degree in oenology, Gérard Colin gained several years of experience working with top producers in Bordeaux before establishing himself as a consultant. It was in this role that he travelled to China for the first time in 1997. Since then it has been his adopted country. In 2009, he became Director of the DBR-Citic estate and, more generally, DBR’s ambassador in China. Gérard Colin gives us a progress report on DBR (Lafite)’s Chinese operations. DBR: The first vines were planted in the spring of 2011, what is the current situation in the vineyard? Gérard Colin (GC): The Penglai peninsula was chosen some years ago on the basis of climate and geological considerations. The choice was the result of a long study and we strongly believe in the potential of this vineyard. However, in choosing Penglai, we knew that major works would have to be undertaken. Our teams have developed 30 hectares of hills, removing 40,000 tons of stones and building more than 9 kilometres of dry stone walls around the plots. The vineyard consists of 30 plots and more than 200 terraces. The first vines were indeed planted last spring. In May 2011, we planted 12 hectares. The main grape variety was of course Cabernet Sauvignon, but there is also some Syrah, Cabernet Franc, Merlot, Petit Verdot and Marselan. DBR: What plans are there for 2012? GC: 2011 was an important year for us and 2012 will be too. Obviously the planting will continue, with another three hectares planned this year. And then we will soon be arriving at the major stage of building the infrastructure. In DBR (Lafite)’s other vineyards, substantial investments have been made to develop and renovate the existing infrastructure. In our case, it is much simpler, all the infrastructure will have to be built. In 2012, we are planning to start work on the winery, assembling the necessary equipment, and building the residence. These major projects are scheduled to start in May. DBR: What has the local reaction been to the arrival of DBR-Citic? GC: There is no denying that the development has attracted a great deal of interest. From a media standpoint, the project was in the spotlight for several months and it is continuing to attract press coverage, but fortunately in a more moderate fashion. The press has come to understand that this is a long-term project, and that producing good quality wines requires time and therefore patience. Similarly, on site our arrival was followed by interest from a substantial number of investors. Beyond a 580 hectare protected zone that we established upstream, a number of projects are flourishing. But we are trying not to let this distract us and to remain focused on our primary objective. DBR: Which members of the team are on site? GC: Given the size of the project, our team is currently quite small. There is myself, as General Manager, three assistants, an accountant, a vineyard manager and 14 permanent field workers. It is a solid team. We are all very aware of the extent of the project that we are undertaking. DBR: Can you explain why wine appears to have become so popular with the Chinese? GC: Just looking at the figures, it is clear that foreign wine imports have significantly increased in China. Internationalization and access to the web has made more “western” products available. Consumers are gradually embracing wine, but one cannot yet say that there is a wine culture, like in France. It is a learning process that takes time, and to which we hope to contribute. And then there is, of course, the production of wine in the country itself. This is another new development, related to political and economic issues. The Chinese have always been big consumers of grain spirits (Baijiu), known for their high alcohol content. In 1987, the Chinese government launched a policy of reducing the production of grain alcohol with a view to maintaining a favourable balance with the production of grain for food. Quite logically, this resulted in a growth in vineyards and the production of local wines. Unfortunately, wine production developed fairly anarchically, and quickly came to mirror grain production, in which quantity was the only objective. However, the situation is gradually reversing itself. DBR: How are vineyards and wine production evolving in China? What would you say the future holds for wine? GC: First, it has to be said that for the time being the statistics are not very reliable, because there is no official registry for land that is being farmed for wine production. The country had approximately 200,000 hectares in 2000, which increased to more than 500,000 hectares in 2011. On this basis, China is the fourth largest producer in the world. These are impressive figures, especially as all of the projects are colossal. A vineyard generally consists of 200 to 1,000 hectares and includes all of the infrastructure, with a reception complex, tourist facilities and real estate projects… The proportions bear no resemblance to Bordeaux… the Chinese only do things on a very large scale! Compared to these operations, our vineyard in Penglai is of course very modest, but our objective has always been to recreate a Bordeaux style operation on Chinese soil. A selective, qualitative approach is essential for us; this is reflected in the choice of grape variety and also a reduction in yields. This quest for excellence has always been DBR (Lafite)’s primary characteristic, but I really think that a qualitative approach will develop in the rest of the country… which can only be a good thing!